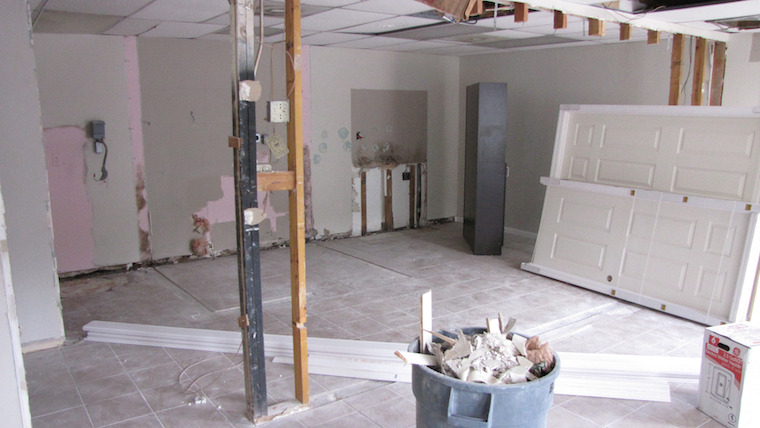 I’m very happy to announce that the remodel work is officially underway on my new studio and gallery space, located at The Village Exchange shopping area on Hilton Head Island, South Carolina. 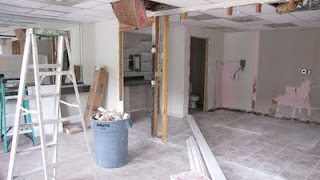 Posted here are some pre-remodel and initial progress images. My target for a grand opening and reception will be during the first week of June. Within this space I will be showing and offering for sale select fine art prints from my growing collection of nature and landscape photography and presenting small group workshops and lessons on nature photography and digital imaging. I will also be providing studio and location portrait photography services for individuals, families and high school seniors. It was from my work with portrait photography whereby I earned my Certified Professional Photographer (CPP) designation through the Professional Photographers of America, while managing my photography business in Dayton, Ohio. Additionally I’m considering including the work of other local artists, representing complimentary mediums of nature and local themed art. 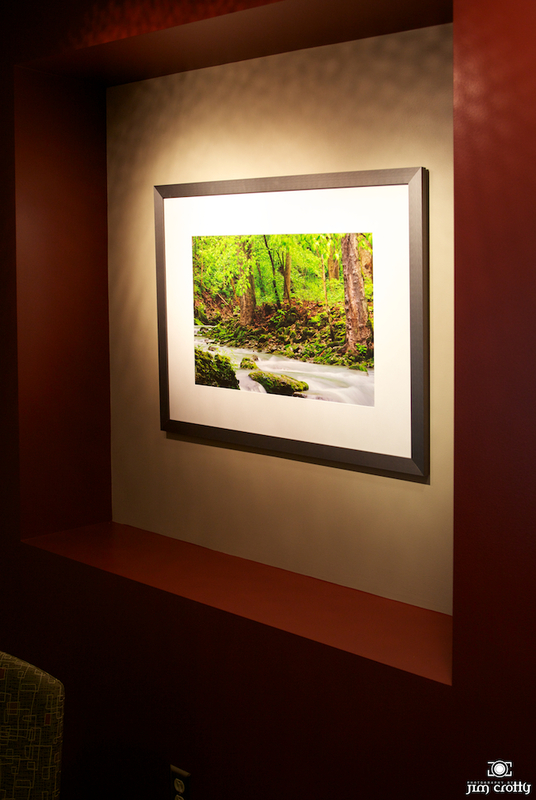 My goal is to enhance the overall presentation within the gallery beyond my prints of nature and landscape images. I intend to provide a browsing and shopping experience that is welcoming, peaceful and pleasing for the senses – facilitating the fusion of artist, creative vision and art admirer based on a shared passion for the calming beauty of nature and subject, both in detail and on the landscape. 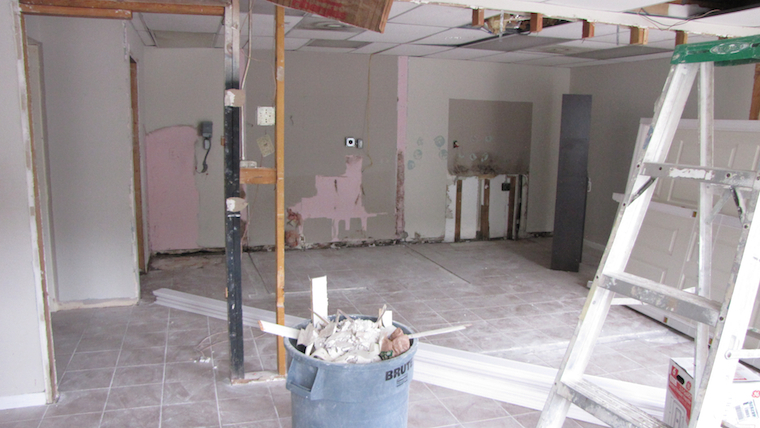 My goal for a grand opening reception is sometime within the first week of June. Please check back often, either on this blog or by way of Photography by Jim Crotty on Facebook, as I will be posting additional images as progress continues on the studio and gallery here on Hilton Head. More than just being happy with this next step in my career as a photographer and artist, I am indeed blessed beyond measure. Not only due to the opportunity to pursue my passion but perhaps more so for the opportunity to share my visual discoveries and photographs with others, in presenting my images and through teaching and encouraging the art of photography. It’s hard to believe that it’s still officially fall when looking out the window and seeing about six inches of snow on the ground. Autumn doesn’t end until the eve of the Winter Solstice, next week. I’m hopeful that the reason behind so much “winter” early on this year is to allow for a more subdued, subtle February, unlike what we experienced in Ohio last winter. I’ve learned from my years and years of being a close observer of nature that more often than not there is balance in everything. Now is a good time to take a photographic look back at autumn 2010. I hosted two very successful workshops including my first weekend destination program at The Inn at Cedar Falls in Hocking Hills, late last September. In early November I presented a very well attended and received program of two half-day programs at Cox Arboretum in Dayton. Also noteworthy from this past autumn were a number of very successful portrait sessions, editorial stock image transactions, fine art print sales and installations and a couple of awards received at the 2010 Fall Conference of the Professional Photographers of Ohio. Each season in Ohio I always come up with about a half-dozen images that best represent the “personality” of the time of year – that unique blend of light, weather conditions and of course, what I bring to the backside of the camera, meaning an always changing and developing creative vision with a few new technical tweaks here and there. Fall 2010 in southern Ohio can best be summed-up with one word – DRY. The lack of rainfall made for only sporadic and isolated areas of good, vibrant color. The upside were some spectacular sunsets and moonrises. The following are my personal favorite nature and landscape photographs from autumn 2010. 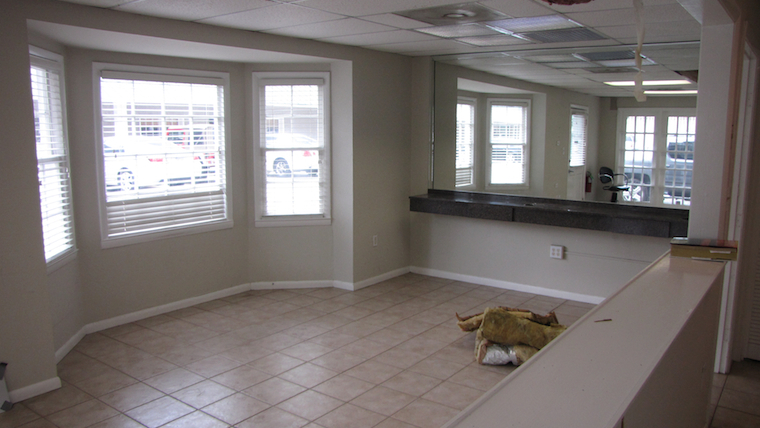 Locations include Hocking Hills State Park, Sugarcreek MetroPark, Grant Park and Dayton, Ohio. Showing one of the framed, black and white Giclée prints that I recently ordered from my online storefront on Imagekind. This particular image is an excellent example of the pleasing results achieved when converting an HDR photograph to monochrome. The photograph is a combination of five exposures, combined using Photomatix Pro. I then fine tune using the tonal adjustment tool, bring the 16-bit TIFF file into Aperture and then convert to monochrome (black and white) through the use of Nik Silver Efex Pro plug-in, which I love because of its effectiveness when doing targeted adjustments. I’m excited about the coming release of Nik’s HDR Efex Pro. On Saturday, November 6, 2010 I will be presenting an afternoon workshop at Cox Arboretum, designed for those photographers who are more experienced and advanced with digital workflow and editing. I’ll be going over my step-by-step process for HDR nature photography, from in-camera capture to final print. I was fortunate and grateful last week to be able to visit two entirely different installations of fine art prints of my work with nature and landscape photography. 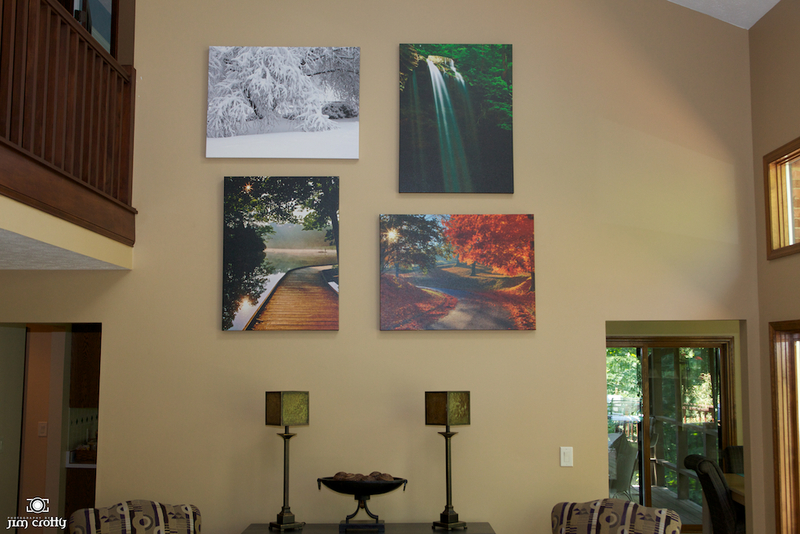 One was a very visually appealing display of several 30″x40″ gallery wrap canvas prints in a customer’s home. 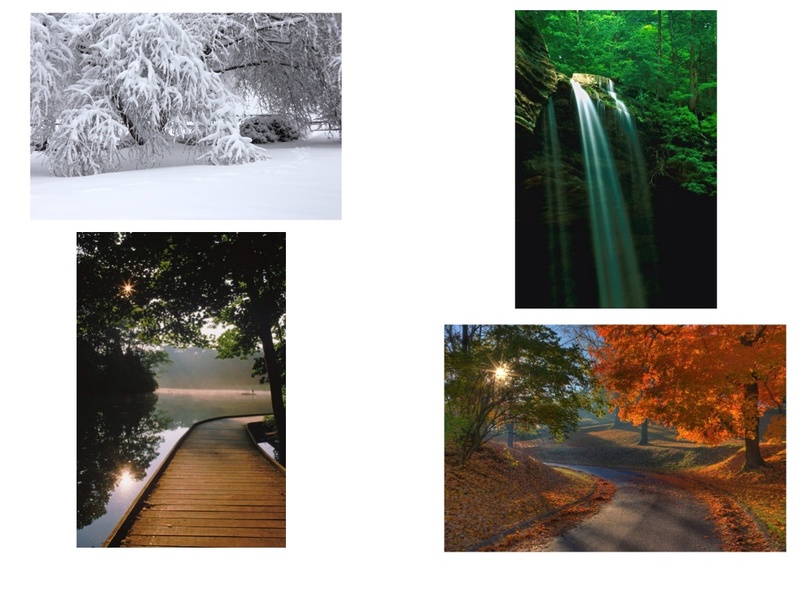 The collection of images was selected based on the customer’s desire to include all four of the seasons on the Ohio landscape. I also worked with this customer in crafting a uniquely cropped version of “Dogwood in Rain” photograph. The gallery wrap canvas style print is an excellent choice for display fine art nature photography in an environment where a traditional, behind-the-glass framed print is not required. These prints “lift-off” from the wall, hence the “wrapped around,” and work superbly on neutral-colored walls. 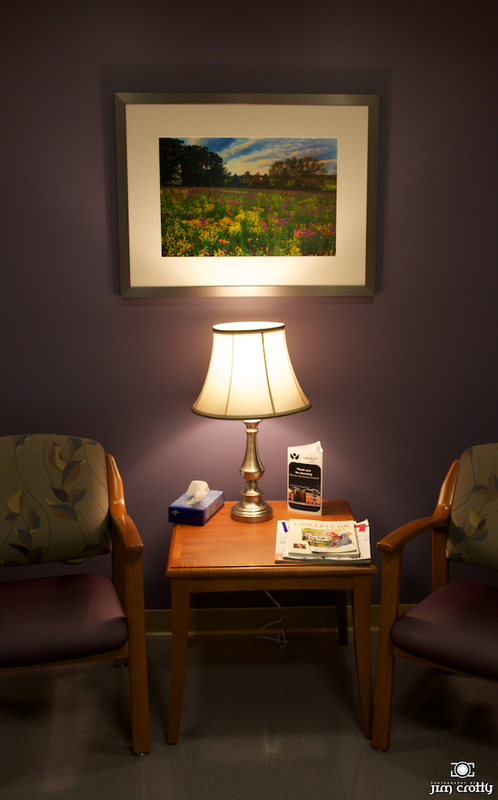 The price is a bit more than a normal, unframed fine art photographic prints. 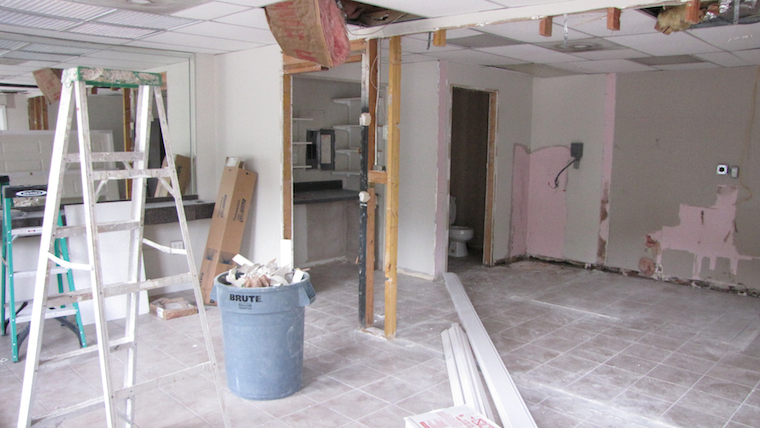 However, the true advantage is that the pieces arrive wired and ready to be hung on the wall. 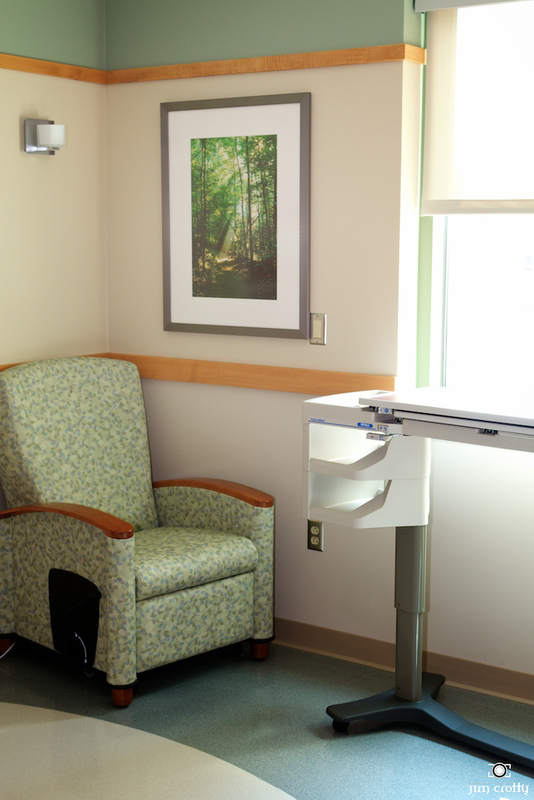 There is a significant cost savings when compared to costs associated with frame, mat, mounting and glass, not to mention the weight and difficulty in handling on a framed 30″x40″ print. 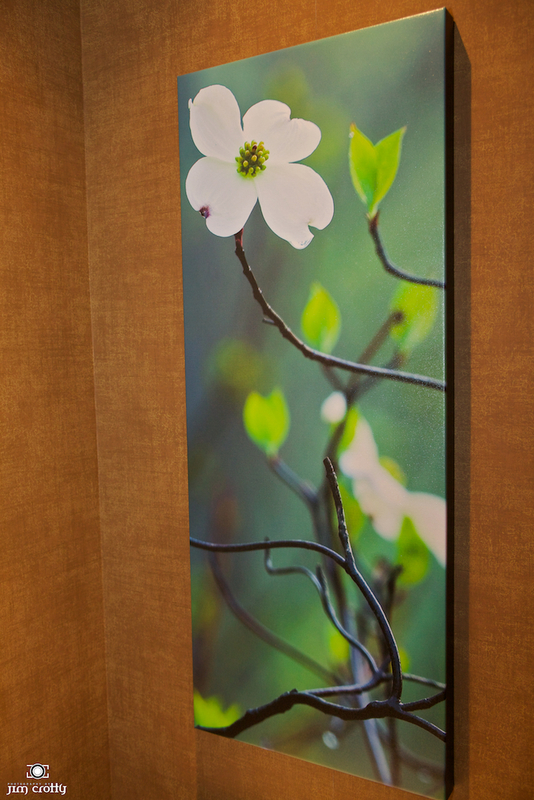 I provide additional information about the benefits of the gallery wrap canvas print on one of my YouTube tutorials, at http://youtu.be/EOOWZlX6Nxk. 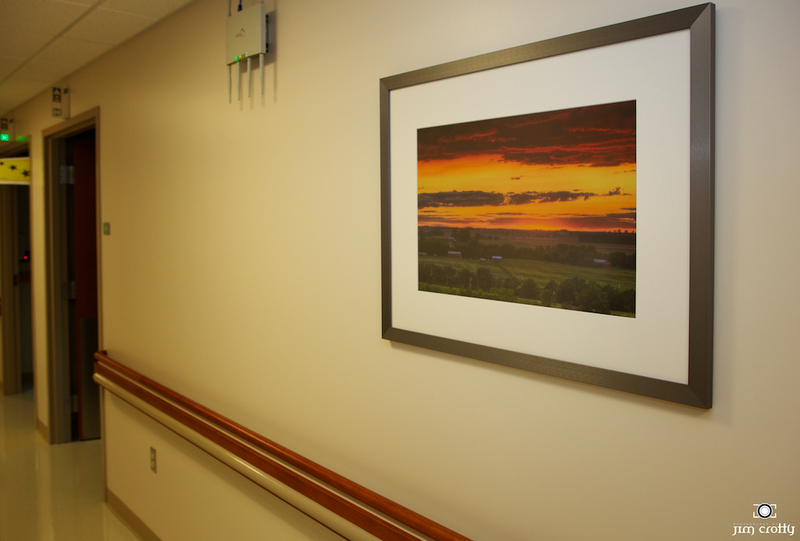 The other installation of my work with nature and landscape photography was in the newly opened addition to Wooster Community Hospital in Wooster, Ohio. There is currently 66 16″x24″ prints installed, representing landscapes that I have photographed in Ohio, Montana, Colorado, Utah and South Carolina. I was very pleased with how the prints looked, particularly with the expert craftsmanship that went into the mounting and framing by a local frame service in Wooster. 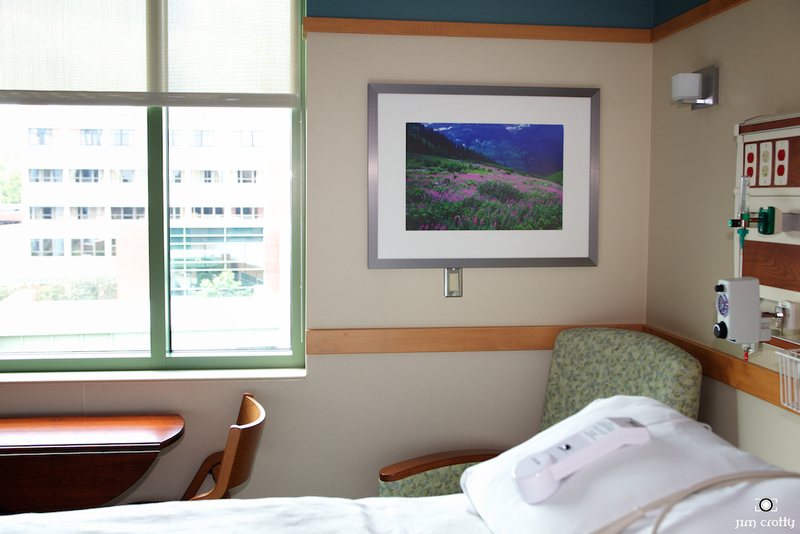 In a public, high-traffic location, such as a hospital, office or medical center, the traditional approach toward framing (mount, mat, glass, frame) is usually the better choice over the gallery wrap canvas print. 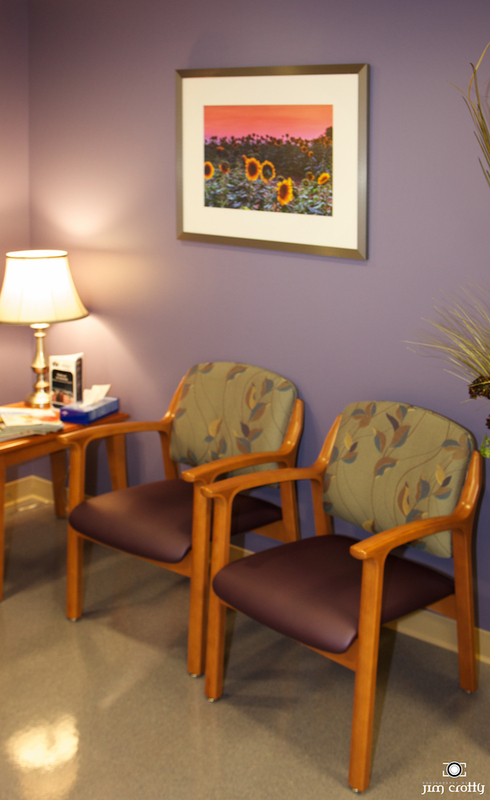 What is even more pleasing to see is how this display of photographic artwork helps enhance an environment that promotes healing and recovery in situations that are usually quite challenging for both patient and family, as well as staff and medical personnel. 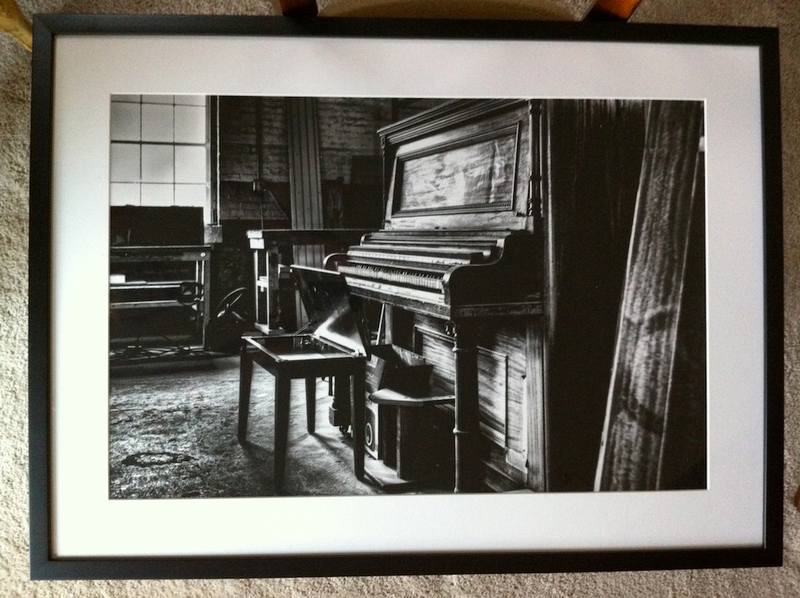 For both installations I use a professional print lab service that caters to the fine art photographer. This particular lab has been crafting prints of my photography for over five years now and I could not be more pleased. Their quality and attention to detail is superb. 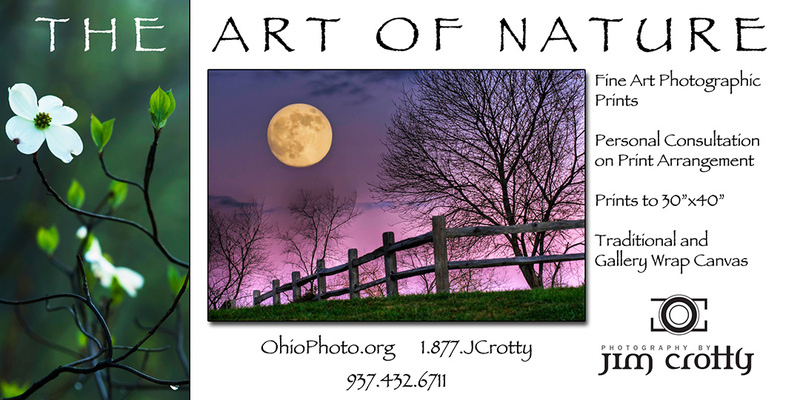 For more information on fine art print installations of my nature and landscape photography, see http://ohiophoto.org/public_html/fineart.html. 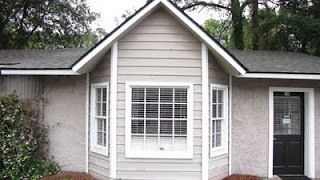 and Grayson Family Center, Grayson, Kentucky. A client recently purchased a number of my nature and landscape photographs, as gallery wrap canvas prints, for her home. Part of the process in assisting this customer in making the decision as to which images to purchase was providing her with a digital and print “preview” of how select photographs would look arranged together on a neutral background, thus providing a good look at how a particular composition within one landscape photograph will work with another. In capturing and creating my nature and landscape photographs I love to work with flowing and directional lines within the frame that will enhance the primary subject by directing the viewer’s eye to that particular point of interest that speaks of the sense of place being visually represented. But with two or more prints arranged together it’s important to select and arrange the photographs so that the impact of one composition is not distracting to the other. Sometimes arranging artwork – such as on a large, open wall space – requires the same artistic eye and touch used in the creation of the individual pieces. The customer asked if I could make a “print-out” previewing a grouping of four prints she was considering for a particular wall within the great room of her home. Her selections were based on wanting to visually show the four distinct seasons of the Ohio landscape. It was no problem at all for me to put this preview together and send it to her via JPEG attachment (below). For this composite I used the Moodboard app on my iPad, which was very simple to do. Truth be told just about any other word processing and/or slide presentation program could have been used as well. And of course there’s always Photoshop. In the past I’ve also suggested particular arrangements of my photographs to various commercial art buyers and consultants. I love my art, but I love customers even more. This customer was very pleased with her purchase. She commented afterwards that it was the time and attention I took in helping her decide on prints – and print arrangement – that made the most impact. For more information on purchasing fine art prints of my nature and landscape photography, please see http://ohiophoto.org/public_html/fineart.html.